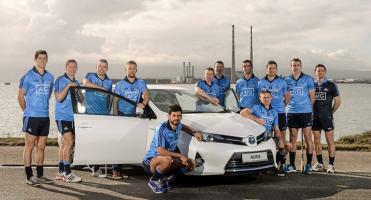 Toyota is committing â¬30,000 in funding to club teams in Dublin. Each of their 6 Dublin dealers will provide â¬5,000 in sponsorship to a club. 2. Take a test drive in a brand new Toyota between the 21st of April and 16th of May.